When I was a boy, I had a dog named Apricot. She was an apricot-colored toy poodle. I chalk the unoriginality of the name up to the fact that I was only six years old when we got her. But she was a great dog, and she died while I was away at college, just shy of her 16th birthday. She's now buried in my parents' backyard in what used to be a small vegetable garden, with a little gravestone marker with her name and the years 1985 - 2001. Whenever I hear the word "apricot," I think about her. But that being said, I was never really a fan of apricot the fruit. I would often try apricot-flavored things, thinking that it would be fun to have something with the same name as my dog, but it seldom was. I usually wound up disappointed and would ask my dad to trade my apricot-flavored thing for a cherry-flavored thing or an apple-flavored thing. 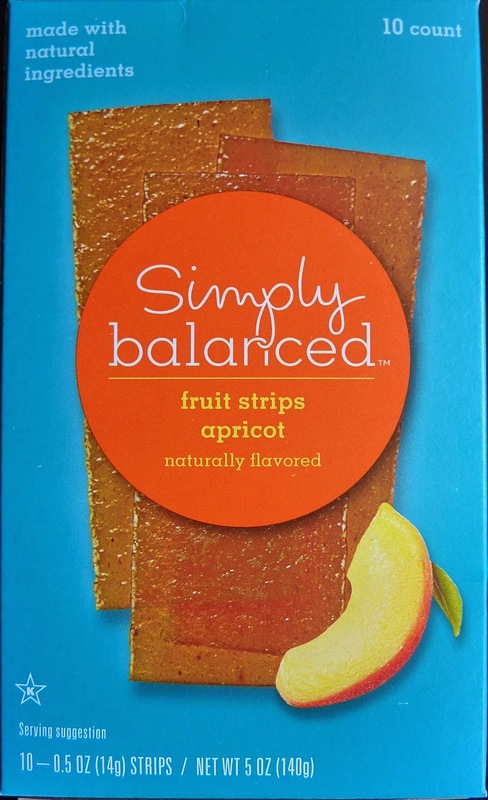 But I guess my tastes have matured, because I thought these apricot-flavored fruit strips were really tasty. Or maybe it's because less than 2% of the product is made with apricot. The rest is...apple! The orange-ish color goes a long way into fooling you that it's really honestly made of apricot. And there's an undeniable hint of something apricot-ish. But virtually all of the sweetness comes from apple. And sweetness coming from apples is better than sweetness coming from most other forms of sugar. So I'm not complaining. These strips are low in fat and calories, and like other fruit snacks we've reviewed, they're hella sticky. All in all, these are great, healthy snacks. It might be my nostalgic love of old Apricot talking, but I think I liked these even a little better than the recently reviewed Raspberry Lemonade Ropes. Any other dog lovers out there? Click here to watch my current pups review a Trader Joe's product. Should they start doing Boots & Barkley brand reviews? I give these apricot strips 8 out of 10 stars.